NSA boss ‘built replica Star Trek bridge’ while spying on THE WORLD? National Security Agency director Keith Alexander apparently sold the concept of surveillance to members of Congress using an operations centre styled on the bridge of the starship Enterprise from much-loved sci-fi series Star Trek. According to “a former administration official” who spoke to Foreign Policy magazine, General Alexander set up the centre in Fort Belvoir, Virginia, at the time he was running the Army’s Intelligence and Security Command. The official told FP that the set had been put together professionally by a Hollywood set designer to resemble the bridge of the USS Enterprise, complete with a massive projection screen on the forward wall, computer stations and doors that slide open and closed while making a “whoosh” sound – just like the doors in the TV series. The facility was known as the Information Dominance Center, he told the magazine. Politicians and other VIPs apparently got to sit in the captain’s chair at the centre of the room while Alexander demonstrated big data analytics tools on the big screen. 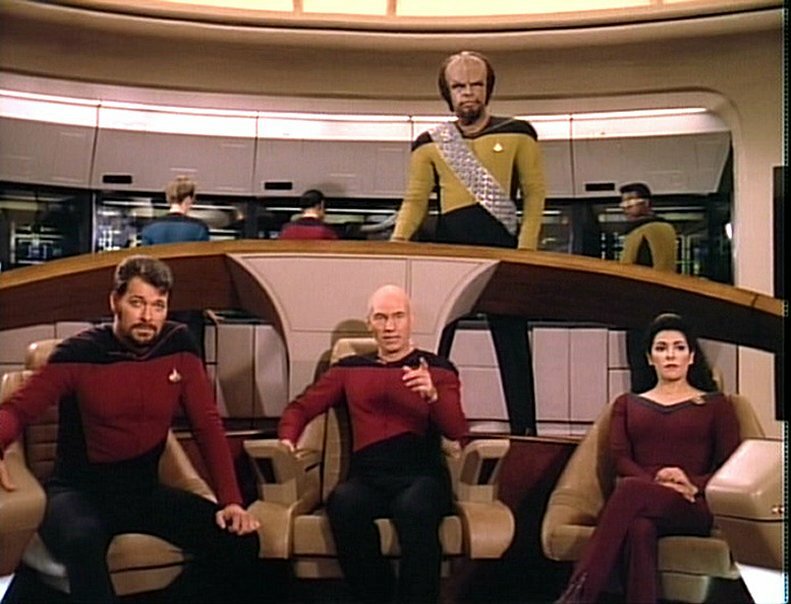 “Everybody wanted to sit in the chair at least once to pretend he was Jean-Luc Picard,” a retired officer in charge of VIP visits explained to US news outlet PBS. The PBS story was based on the FP feature (sign-in required) outlining Alexander’s rise to the top of the NSA, including how he got his hands on the raw caches of data collected by the spy agency. The Guardian adds that the website of DBI Architects features purported photographs of the actual Star Trek bridge-like briefing room commissioned by Gen “Collect it All” Alexander.